This Beautiful "Shema Israel" necklace is made of 925 Sterling Silver and measures 23mm. It is available in three colors: Platinum Plated, Yellow Gold Plated or rose Gold Plated. 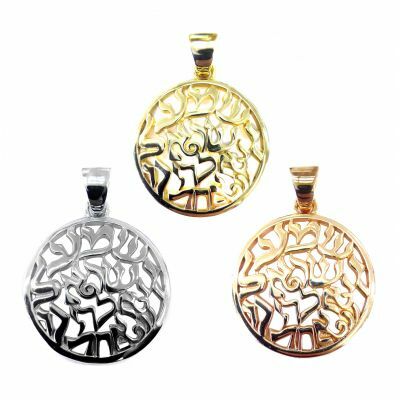 Sterling Silver "Shema Israel" Pendant with a Full Blessing written on it. Please call us 7 days at 1-800-709-9445 with any questions.